There’s this really cool thing going on in Slovenia every spring and autumn, called Restaurant Week. 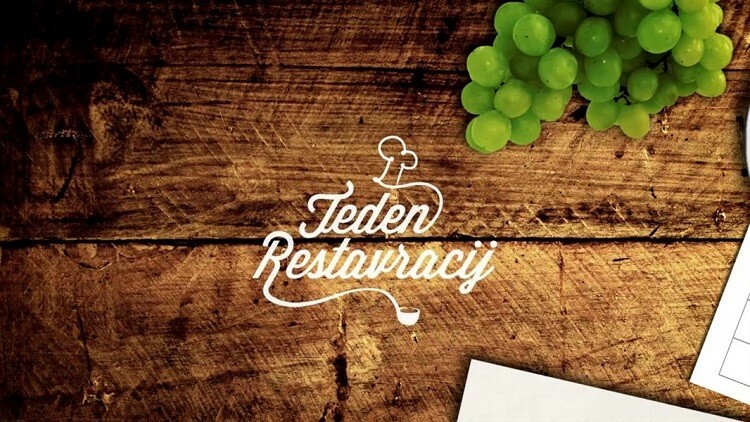 It’s a project, aimed to promote top Slovenian culinary and is intended for all who love to eat good. It’s a great project, started in New York in 1992, that has been going on in Slovenia since 2012. The participating restaurants, however, cannot sign up for participation themselves, but rather have to be chosen based on quality. Each restaurant offers an (at least) three course meal for the price of 15 EUR which is far less than the regular prices at these restaurants. All menus are posted in advance, giving the customers the opportunity to choose their favorite restaurant not only by name and location but also by offer. I’ve been to four different restaurants this season and the below is what I’ve had the chance to taste. I’ll try to describe it the best I can, but I think the pictures speak for themselves. 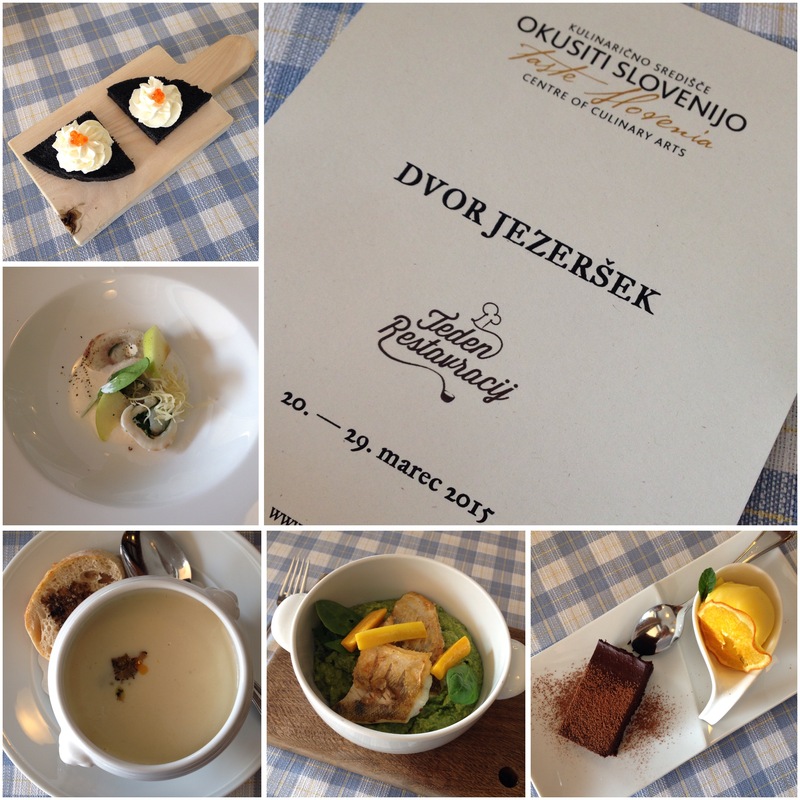 We were fictional bride and groom at a fictional wedding, a cool version of a wedding fair, by Dvor Jezeršek on Saturday, 21st March 2015. In order for us to be able to stay up late, they took really good care of us and gave us the Restaurant Week menu for lunch before all the preparations started. They added a great glass of wine and an amazing dessert as well. I have to say I really enjoyed their menu. There were also two other main course options but we both went for the fish. There was no meat option, which was a bit surprising, but not problematic for me. My boyfriend did miss the meat a little, but forgot all about it at the fake wedding dinner. Apart from the delicious greeting from the kitchen, we both especially enjoyed the garlic soup and of course the divine chocolate dessert, which was masterfully combined with the freshness of orange. Jezeršek team sure knows its flavors! 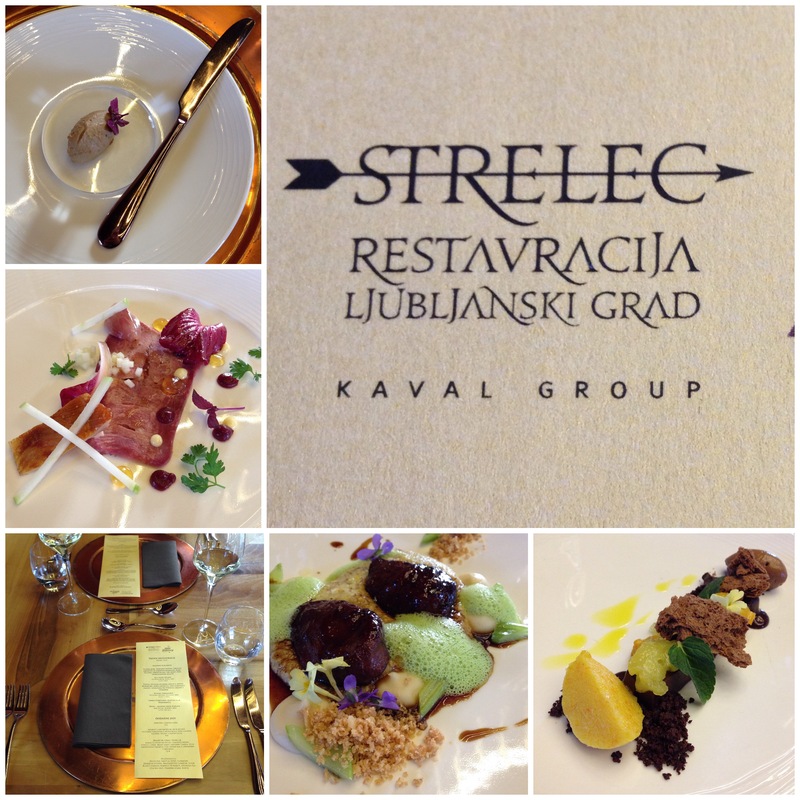 My second stop at the restaurant week this season was Strelec restaurant at the Ljubljana Castle. I visited it with my best friend in memory of our Restaurant week 2014 – autumn edition, when we visited 4 different restaurants. My favorite was the main course since the pork cheeks were cooked to perfection which in combination with the carefully selected side dishes made sure that the flavors really exploded in our mouth. The dark chocolate and orange in the dessert were also a great combination which left us both smiling while leaving the restaurant. 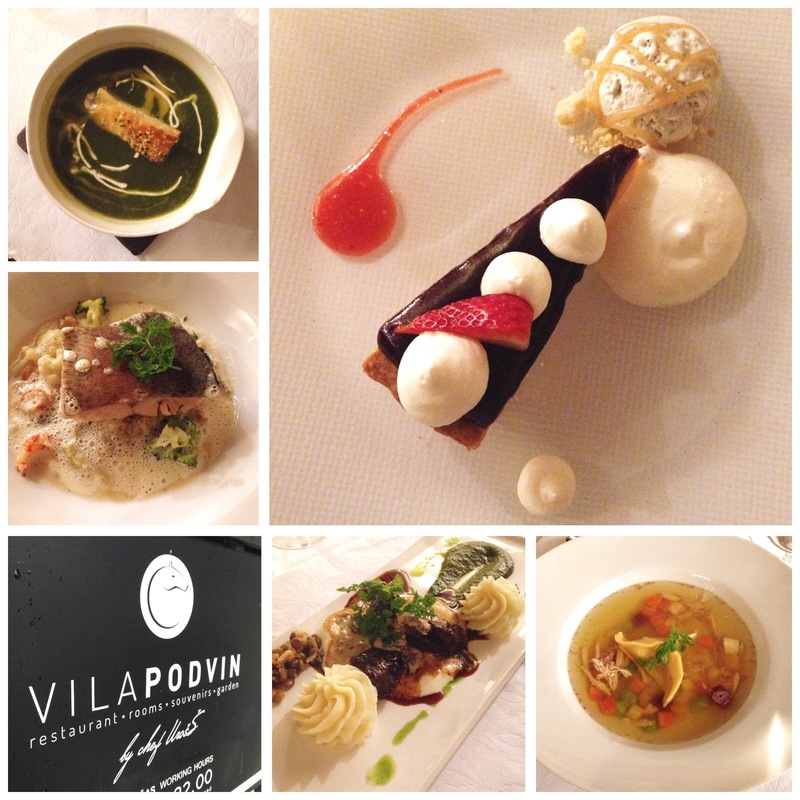 Stop number three was a date night with my boyfriend in the Gorenjska region at Vila Podvin. They offered two different three course menus, one Female and one Male. It was actually one fish and one meat menu but the idea of calling them female and male was really cool. They also offered a four course menu with a choice of one soup, both main courses and dessert for 25 EUR but since one of us chose the female and one of us the male menu, we went for the three course one and still had the chance to try all the dishes in the menu. I have to say the soup was better in the female menu but the male main course was a lot better. The combination of the pork and morels flavors was amazing! The highlight of the night most definitely was the dessert. The pie crust was crunchy and the strawberry glaze amazing! 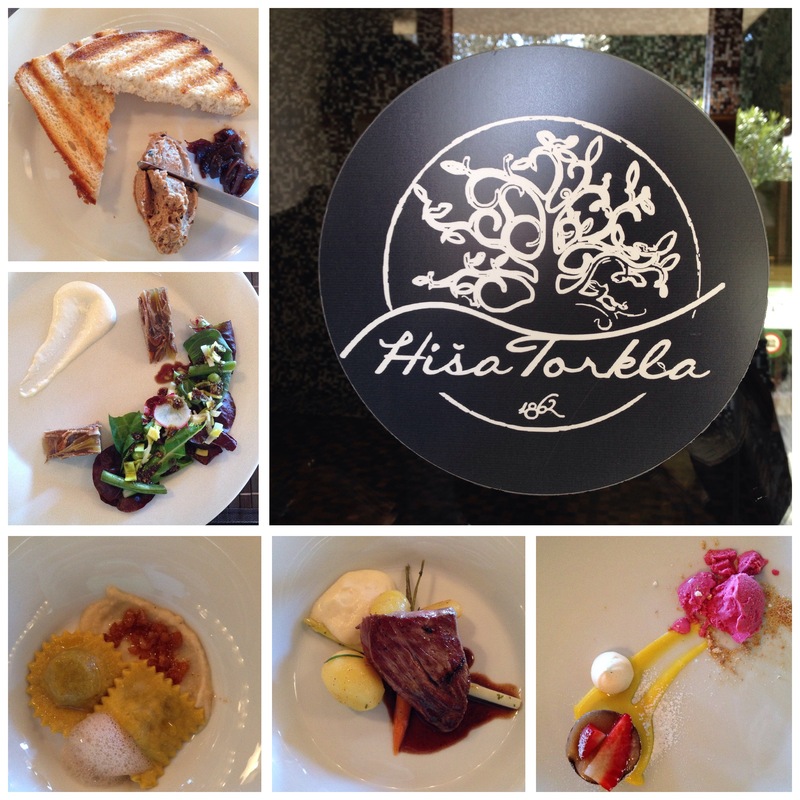 The final stop at the restaurant week tour was in Primorska region, close to the sea and sun, at Hiša Torkla. I must say we sure finished strong. We went for their extended four course menu for 26 EUR which also included one of the best greetings from the kitchen we’ve ever had. As I already said, their pâté with truffles was amazing and definitely one of the best greetings from the kitchen I’ve ever had. It could easily beat most cold and warm appetizers as well. A big praise goes to the main course as well – the soft and juicy Black Angus belly simply melted in our mouth and was a great combination for the young spring vegetables with which they combined it. *First photo credit of Radio Antena.